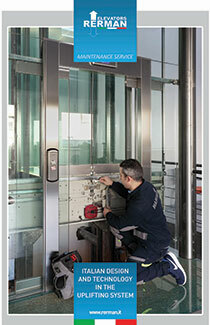 Rerman supplies customised vertical moving solutions, implementing highly reliable elevators. 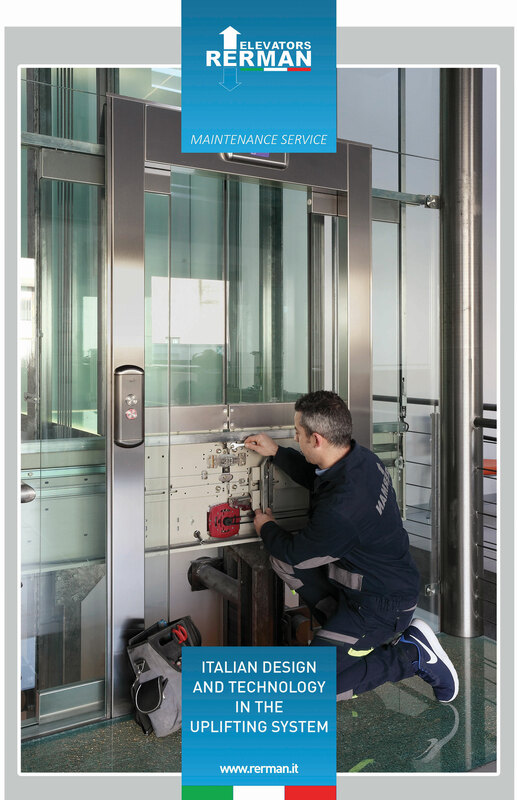 Outdoor and indoor lifts, suitable for any type of building and architecture, with innovative technology and sophisticated aesthetic solutions. 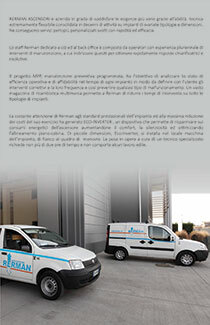 We are specialists in solving any kind of problem, by designing customized lifts which scrupulously follow the regulations in force, also with regard to the lifts for the disabled. 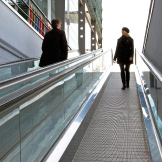 Private elevators, commercial and public, minilifts, platforms, freight lifts, stair lifts and escalators: our expertise is at your service for every need. 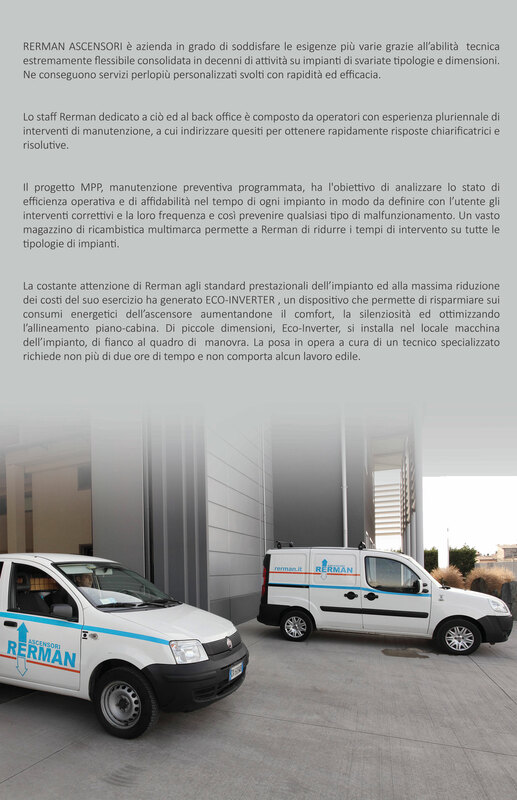 Ecophase is the new, revolutionary lift conceived to achieve the greatest energy savings and consequently the greatest economic savings for the end customer. 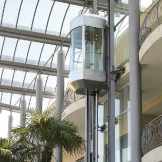 Rerman manufactures high quality indoor and outdoor panoramic elevators, a type of elevators which are often installed with strongly appealing solutions, starting from glass windows. 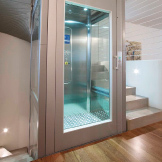 The stairlifts are the ideal solution for moving from one floor to another, in safety and ease. Straight, spiral with curves, narrow or wide: no stairs are impossible for Rerman. 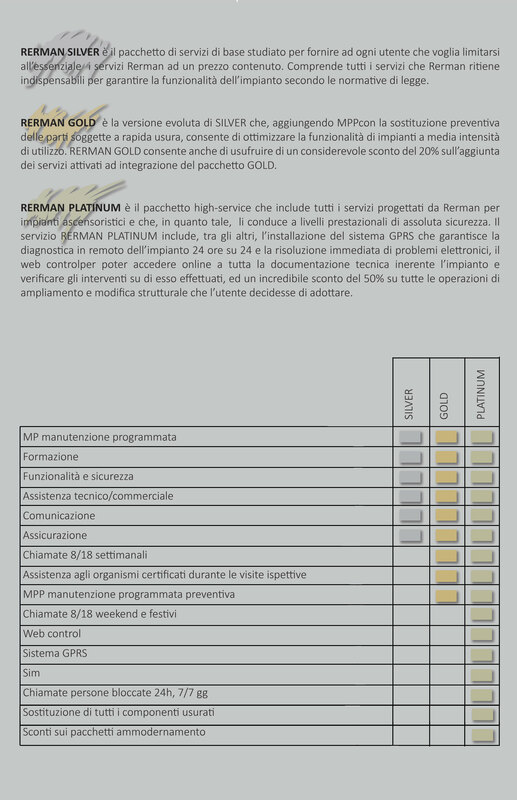 P.IVA e C.F. 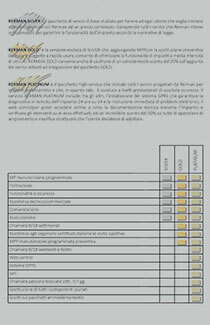 02791980986 - REA 478710 Brescia - Capitale sociale: euro 150.000,00 i.v.